Up for your consideration, this round of book reviews features topics from opposite ends of the spectrum. The first might best be described as a beer and heavy metal pairing guide. Naturally, that means virtually any beer from Jester King containing the word "metal" has warranted inclusion. As for the other, it's the third of four planned books in the Brewers Association's Brewing Elements series. The water book follows those covering yeast and hops, with another on malt scheduled to be out later this year. 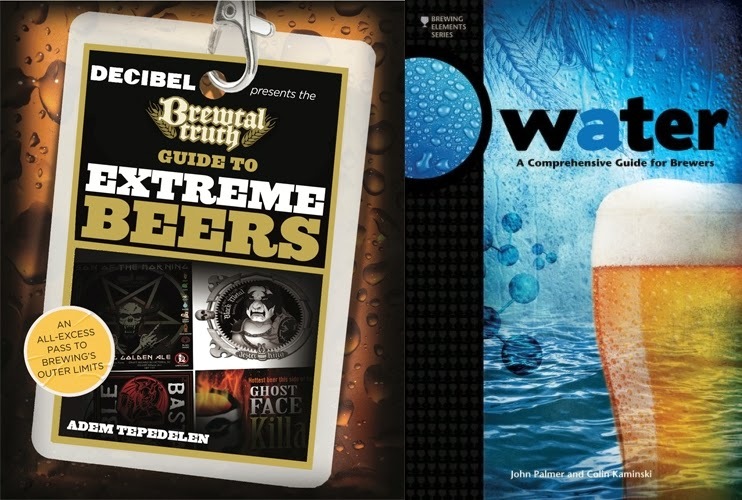 On the surface, the idea of metal music magazine being the presenting sponsor of a beer book might seem a bit...well, extreme. Looking at it from author Adem Tepedelen's point of view, though, he believes that those who prefer creativity in their beer are more than likely to prefer it in their music, too. To that end, his Brewtal Truth Guide to Extreme Beers offers you "an all-excess pass to brewing's outer limits." Brews are categorized according to "how" they are extreme. It could be the name, the ingredients, how the beer is made or the design of the label. Each is judged accorded to a 5-point skull and crossbones rating system, and the question isn't about taste, it's about how challenging is the taste experience? An "Extreme Music Pairing" accompanies each beer as well, with musical selections running the gamut from from Ozzy and Iron Maiden, to Ministry and Opeth. Breaks between beers are Q&As highlighting "Brewtal Breweries" and "Brewtal Musicians", with names like Greg Koch of Stone, Adam Avery and Brann Dailor of Mastodon lending their perspectives to the topic at hand. It's not your everyday beer book, as it takes the "tasting guide" format to a whole different level. To the extreme, you might say. Available in paperback at Amazon.com, Barnes & Noble and other retailers. * Review copy furnished courtesy of Globe Pequot Press. Most of us look at water and just see water. It doesn't look like much, doesn't smell like much, and other than residual flavors due to chlorine or other chemical treatments it doesn't taste like much either. For brewers, it represents the "last frontier." Water chemistry affects the beer you drink more than you realize, and it's the one component brewers can change without having to source different ingredients. This book endeavors to put the "world's knowledge of brewing water together in one place." Topics covered include source and wastewater treatment techniques, adjusting water for style, residual alkalinity and mash pH. The presentation is technical, but there are plenty of tables, graphs and worked examples to help you along the way. Still, you'll probably need to brush up on dimensional analysis and high school chemistry (a primer is included in the appendix) to get the most out of the material. I'd also recommend having Periodic Table of the Elements at the ready. Reviewing this one is easy: required reading for brewers. Available in paperback at the Brewers Association, Amazon.com, Barnes & Noble and other retailers. * Review copy furnished courtesy of Brewers Publications. The Grapevine Craft Brewery has been open all of about two months, yet they are already expanding their sphere of influence and putting plans in motion to package their brews. On February 3, Grapevine will begin supplying beer to accounts in Austin. More importantly for North Texans, though, is the planned launch of Lakefire Rye Pale Ale in cans. Six-packs of the brewery's flagship will be available throughout the Metroplex starting in April. When asked about canning, owner Gary Humble responded by saying, "'We're excited to get our beer in cans and out there in the places where good times are being had. That's where our beer belongs." Grapevine is also working on a number of new styles for the coming year. Humble says the brewery "seeks to fill a need for approachable and sessionable ales...meant to invite would-be craft beer drinkers into the growing culture of local beer." Along those lines, expect to see an English-style brown ale, seasonal saison and a Belgian IPA. Beyond that, head brewer Caton Orell intends to dry-hop 60 barrels of Lakefire with whole leaf Chinook for release in February, and he's got a brown ale infused with raspberry and cocoa in the works for Paste Untapped Fort Worth in March. 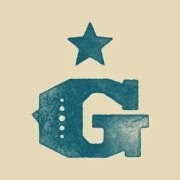 Including those debuting next week, Grapevine has taps flowing at 60 accounts in Dallas, Waco and Austin. Say what you want about Shiner, but you have to give them credit for being consistent. Explore beyond that bock beer, and time and again you'll find a good, easy-drinking brew that leans towards the milder side of the target style guideline. Their products have, and probably always will appeal to their core consumer, that being the opposite of the über beer geek. 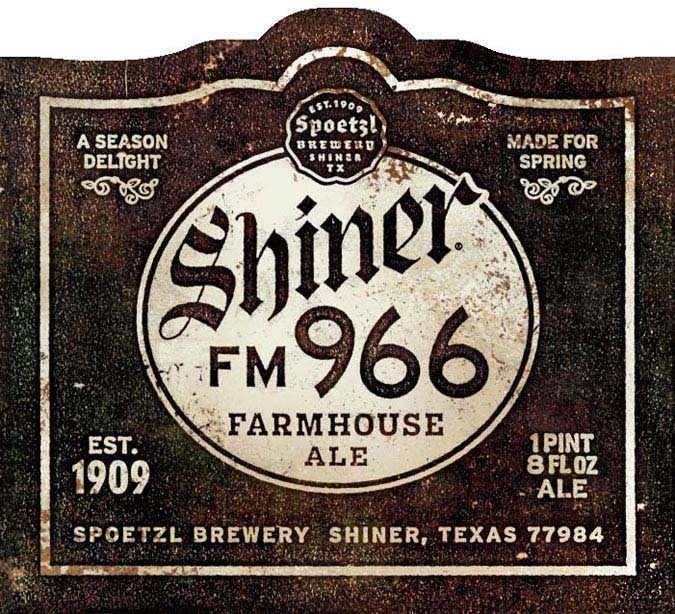 Shiner FM 966 Farmhouse Ale is no exception to the above-defined rule. It's the kind of beer that doesn't have too much of this, or too little of that. Whether or not that means it's "just right", I'll leave that for you to decide. The brewery's spring seasonal has a fair amount of complexity with hints of spice and funk to go along with some light florals. Clove-like phenols are more evident in the aroma, masked off somewhat in the taste by the enduring flavor of bread yeast. There is a faint bitterness, but no real tartness despite having a sort of lemon drop candy character in the background. It's a refreshing beer, with ample effervescence and a light-to-medium body. Like most other Shiner products, if you're already a fan of the brewery you'll probably enjoy this one too. It's not a spot-on saison, though, due to being somewhat yeasty and not having an overly forward fruit character. Still, it's a good, easy-drinking brew that leans towards the milder side of the target style guideline. Wait a second...didn't I already say that? This year, FM 966 Farmhouse Ale is being offered for the first time in 6-packs of 12-ounce cans. Find it through March wherever Shiner beers are sold. * Samples provided courtesy of Shiner/McGarrah-Jessee. Andrews Distributing has announced a partnership with the No-Li Brewhouse out of Spokane, Washington. Products from the brewery's portfolio will be available in North Texas beginning April 7. No-Li brews will be sold on draft, as well as in 4-packs of 12-ounce bottles and 22-ounce bombers. "No-Li Brewhouse was founded when co-founder/master brewer Mark Irvin forged a partnership with John Bryant, a Washington native and craft brewery veteran with over 20 years of experience. No-Li prides itself on brews that are globally inspired and locally sourced from an area that is home to some of the world’s best hop and malt growing [regions]. The brewery has developed a portfolio of “Fib Free Ales” that reflect the honest living and tough work ethic of the area. 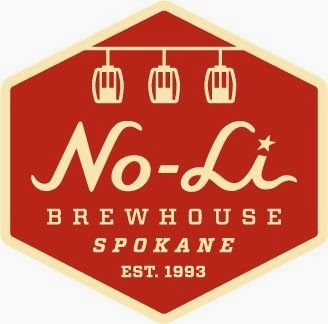 In April of 2013, No-Li received federal approval for the beer classification, “Spokane Style Beer”, a federally recognized style for beers made in Spokane, by Spokane residents, with ingredients sourced from within 300 miles of the area. In its first year, No-Li Brewhouse brought home nine international awards, including a gold medal from the 2012 Great American Beer Festival for Crystal Bitter ESB. No-Li was named a "2013 Brewery to Watch” by Draft Magazine, and their portfolio continues to earn top recognition in the beer industry. No-Li expects to double its growth in 2014, and Andrews Distributing is looking forward to extending the success." Among the many beer styles that are considered hard to find, eisbocks are especially rare. North Texas does get a couple of imports, but locating one produced by a domestic craft brewer is almost unheard of. In fact, according to my notes, the last one to be sold in Texas was Redhook 28. I even wrote a review on it back in October 2010. Eisbock, or ice bock, is a regional specialty native to the Kulmbach district in Bavaria, Germany. The idea behind it is fairly straightforward. Since water freezes before alcohol (32° F vs. -173.2° F), you can take a beer that's been exposed to the elements and remove the ice crystals. The resulting brew will then be more concentrated in terms of both flavor and alcohol. The BJCP guidelines identify doppelbock (barley based) as the starter beer, but as the German Beer Institute points out, weizenbocks (wheat based) can be used as well. Examples of the two approaches from overseas can be found in Kulmbacher Eisbock and Schneider Aventinus Weizen-Eisbock, respectively. To get one made in America, you'll have to go to Franconia's Saturday tour. When the mercury dipped below the freezing mark earlier this month, brewery owner Dennis Wehrmann saw an opportunity. In the past, he'd looked into ways of doing an eisbock with the beer still aging in the tank, but wasn't comfortable with the options available. So, he thought, why not try a little experiment? 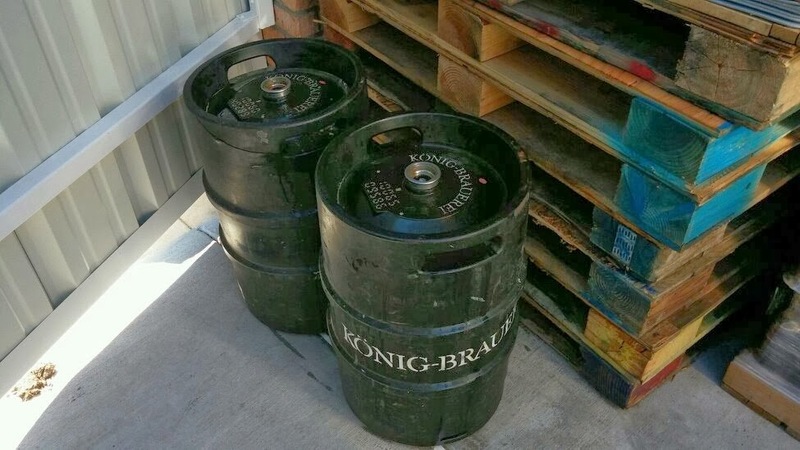 The brewery's weizenbock is currently in season, so he placed two 50L (13.2 gallon) kegs of Winter Wheat out overnight and let nature take its course. The next morning, ice equaling 10 gallons of water was extracted to yield around 16 gallons of beer. Sampling a few ounces of Texas Ice Bock side-by-side with Winter Wheat, you don't notice a striking difference in aroma or appearance. Notes of alcohol sneak out as the beer warms, but even then it's not an overwhelming presence. Where you will find a difference is in the taste. Take a sip of Texas Ice Bock after Winter Wheat and there's no mistaking the raw alcohol bite you'll detect right away. Your palate will adjust making this less and less noticeable, but a persistent warmth maintains in the finish. Flavor wise, it's pretty much as you'd expect. The bready, lightly sweet base with hints of banana and spice gains some intensity, but I wouldn't say it's like you're drinking a completely different beer. Overall it's a stronger, slightly richer version of the original. Your chance to try Texas Ice Bock comes this weekend, and this weekend only. The brewery will be pouring it out of one of their 200 year old casks at 11 a.m. sharp on Saturday, January 25. Total Wine presents their Total Beer Experience, going on January 15-25 at all four area locations. Like other multi-day affairs, you can expect a variety of happenings from tastings, beer dinners, and educational seminars to meet and greets with both local and national industry professionals. The complete lineup can be found on the website, but here are a few recommendations as well as details on something they are doing with Lakewood that doesn't appear on the calendar. Also note that most events require tickets, and a handful (like the Saint Arnold rare beer tastings) have already sold out. Meet and Greet/Bottle Signing with Lakewood Founder Wim Bens (free to attend): If you haven't picked up a bottle of Lakewood Bourbon Barrel Temptress, here's your chance. A limited number of BBT bottles, 36 to be exact, will go on sale at each of the following events. In addition, a supply of Goatman is also expected to be available. First come, first served! Jan 17: Dallas Park Lane, 5-8 p.m.
Jan 18: Plano East, 2-5 p.m.
Jan 25: Plano North, 5-8 p.m. The Deschutes Brewery Experience ($10pp): Join Deschutes Account Sales Specialist Kyle Jordan for a series of year-round and Reserve Series offerings paired with street tacos. Black Butte XXV Anniversary Porter and The Abyss will be pouring, and each attendee will get glassware to take home. Meet the Brewer with Brewmaster Jeremy Hunt of Deep Ellum Brewing Company ($10pp) : Sample a few brews from Deep Ellum's everyday lineup as well as Four Swords, a Belgian quad, and the yet-to-be-released Oak Cliff Coffee Ale. Hunt will also bring along a special cask created just for the occasion. Ray Daniels Cicerone Beer Education ($10pp): Learn about beer styles, tastings and judging techniques with the founder and director of the Cicerone Certification Program. Daniels is also the author of the books Designing Great Beers and Smoked Beers: History, Brewing Techniques, Recipes. Lagunitas Tasting and Smoke Signals ($10pp): Having been hosted at the Petaluma brewery by FMO/Beer Weasel Ron Lindenbusch, I can attest to his ability to show you a good time. Plus, there's the promise of beer unavailable elsewhere. Rahr & Sons Vintage Beer Tasting ($10pp): Sample a Visionary beer, as well four selections from Rahr's To Thee series. Brews expected to be available include: 2012 Visionary Black IPA, 2013 Regulator Doppelbock, 2013 Snowmageddon, 2013 Bourbon Barrel Aged Winter Warmer and 2013 Tenderfoot. Evenings with Oskar Blues: You'll have two chances to get freak-CAN crazy with Oskar Blues rep Brent Hodgson. Each event will feature a special cask tapping, along with a glassware giveaway. Founders Beer Dinner ($30pp): Founders has been delivering world-class beer to the Metroplex for a little less than a year. On this night, you'll have a chance to interact via webcast with co-owner Dave Engbers.